Traditional lever espresso. Modern technology. Perfect coffee, every time. 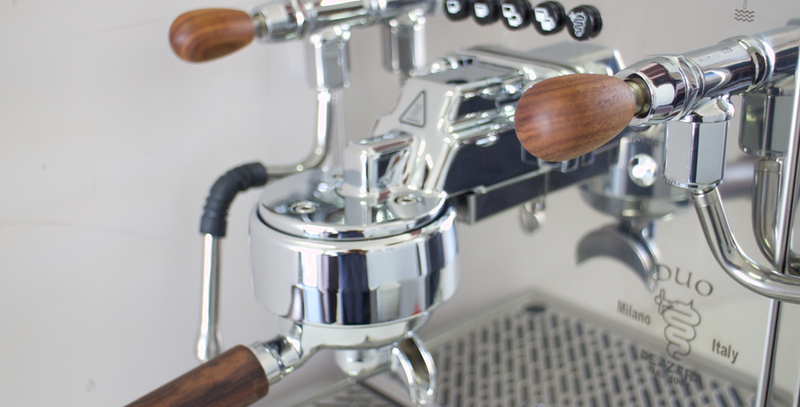 An entirely new take on traditional lever espresso machines, the Bezzera Strega combines the best of pump driven coffee machines and the pressure profiling possible only with lever-brewed espresso. 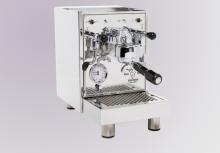 The Bezzera Mitica TOP espresso machine contrasts with the Domus Galatea in that it has clean lines and a classical styling as well as a rotary pump. 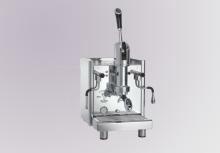 This Mitica TOP model can either run from the in-built tank or be plumbed in to the mains water supply. With a 2 litre boiler, it has enough steam to froth a 1 litre jug in no time at all. 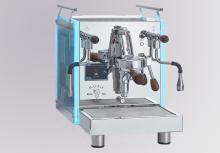 A premium commercial style coffee machine designed for the most demanding home barista with traditional Italian retro styling your home coffee bar will be a remarkable showpiece that will have guests asking for refills! 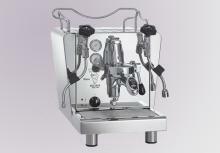 A premium dual boiler coffee machine designed for small coffee outlets where volumetric control is a necessity. Featuring automatic backflush, and automatic turning on/off amongst a number of other features, this is a the perfect solution for a busy environment where bench space is at a premium and volumetric control is a necessity. One of the key factors on the way to that desirable cup of coffee is the consistency of the pressure, developed when extracting the coffee. 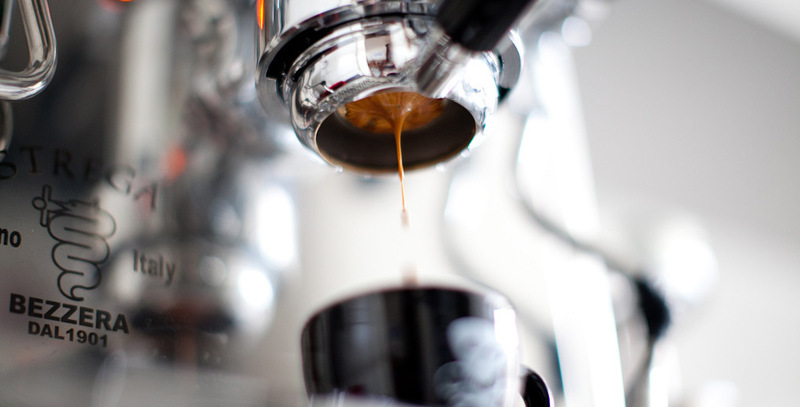 Too little resistance in the coffee handle does not allow for sufficient pressure that results in an under extracted coffee: weak with little crema. Too much resistance on the other hand will cause an over extraction: bitter coffee and with little crema. Bezzera has over 105 years experience in the design and manufacture of coffee machines which has lead to renown reliability, quality and performance. 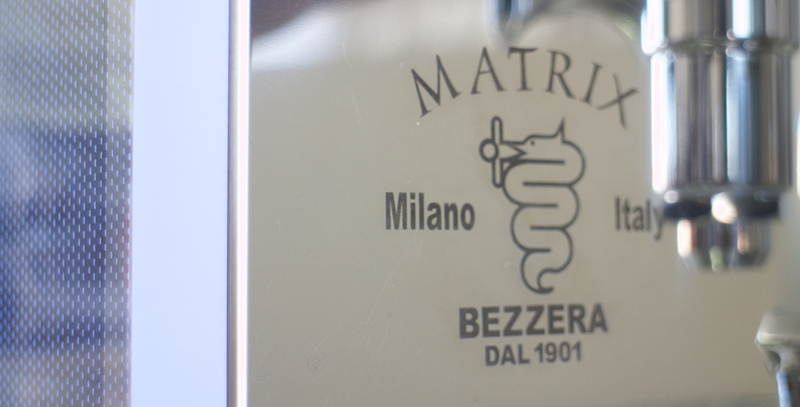 Bezzera, through over 100 years of refining the taste of Italian espresso, have built up the knowledge to produce stylish and reliable espresso machines. It is based on the Bezzera family's continued commitment to the exceptional quality of the machines they produce that we offer the following exclusive guarantees with all Bezzera's sold in Australia.